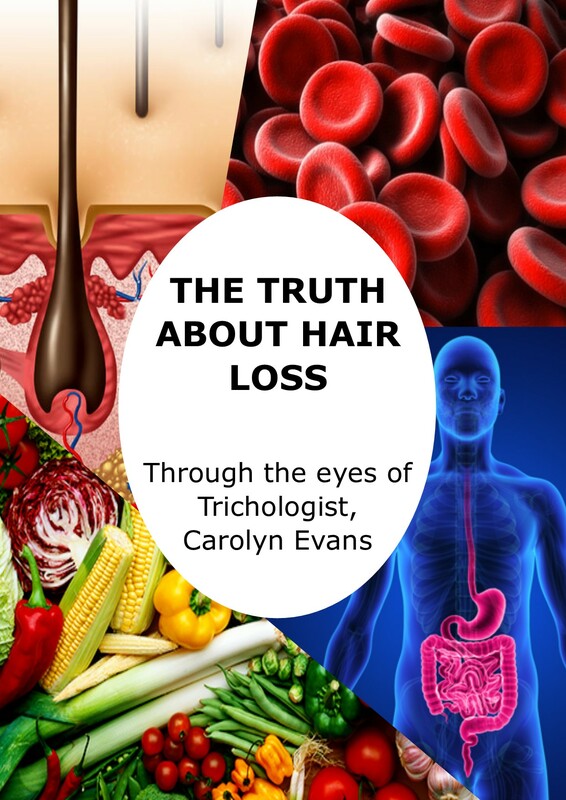 Hi, I’m Carolyn, Trichologist at Absolique Hair Health Clinic Sydney. 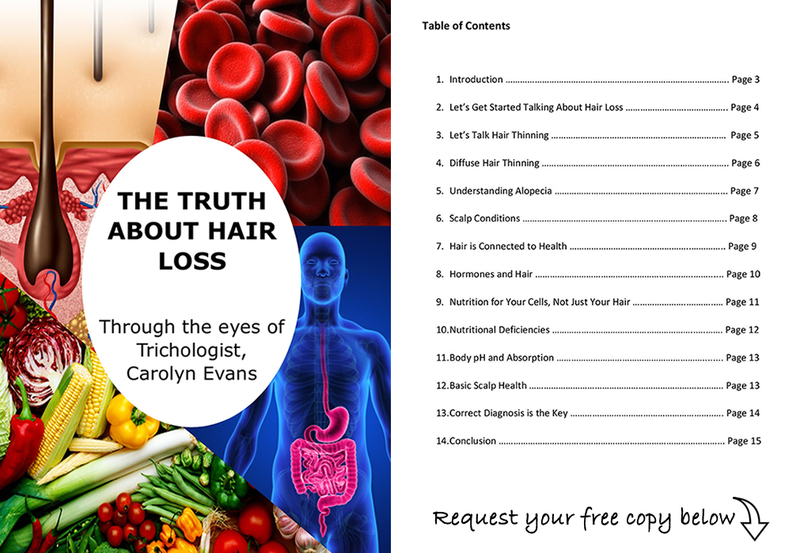 I am excited to share my very first eBook, The Truth About Hair Loss. This eBook is free and is the first to be released in a series by Absolique Trichologist Sydney. My clients inspire me to write and I hope The Truth About Hair Loss helps provide some guidance and understanding about hair loss, hair thinning and Scalp Conditions. I come across many misunderstandings and mistruths when it comes to hair loss, hair thinning and scalp conditions. That is what led me toward writing The Truth About Hair Loss is a simple overview of the more frequent questions and confusions I encounter. I hope this eBook will guide you towards the best hair loss treatment you and an understanding of the differences between hair loss, hair thinning and scalp conditions. To get your free copy of The Truth About Hair Loss email request to info@absolique.com.au. I hope the information within this eBook will provide you some hope and clarity about your hair loss, hair thinning or scalp concerns. Email questions you would like covered in my next book, where I will be further explaining the science of the hair and what causes hair loss, hair thinning and scalp conditions. Thank you for following us on your personal hair and health journey and reading The Truth About Hair Loss. Feel free to share your hair loss journey with us and the email once again, for your FREE copy of our eBook The Truth About Hair Loss is info@absolique.com.au. You are welcome to call us to ask any questions about your hair loss, hair thinning or scalp concerns or to enquire about our services. Call Absolique Hair Health Clinic Sydney reception team on 02 8014 6916.